A few years ago, my family and I lived in Victoria. Along with the beach and bustling downtown, some of my favourite places to visit were the many breweries in town. Lots of options, lots of flavours. When we decided to move back home I was a little worried I would miss the many tastes I had gotten used to sampling. Well, as it turns out, the Thompson Okanagan craft beer scene is thriving. Small, dedicated craft brewers have popped up, from the Similkameen to the Shuswap (Secwepemc). While the Thompson Okanagan region is well-known as wine country, the Ale Trails have become a huge hit, big enough for a craft enthusiast like myself to no longer miss the flavours of the coast! The big guys are still kicking and making great beer, like Tree Brewing Beer Institute, Freddy’s Brewpub, Cannery Brewing and Okanagan Spring. The craft beer scene has exploded in the past five years, with new joints like BNA Brewing Co. and Red Bird Brewing in Kelowna, Red Collar Brewing Co. in Kamloops (Tk'emlups) and Marten Brewing Company in Vernon (Nintle-Moos-Chin) opening up to the public. All great places to grab a cold beer and a good conversation. No matter where you are in the Thompson Okanagan, from Firehall Brewery in Oliver, to Barley Station Brew Pub in Salmon Arm, as far north as Three Ranges Brewing Co. in Valemount, you’re never far from a sip of local craft beer. 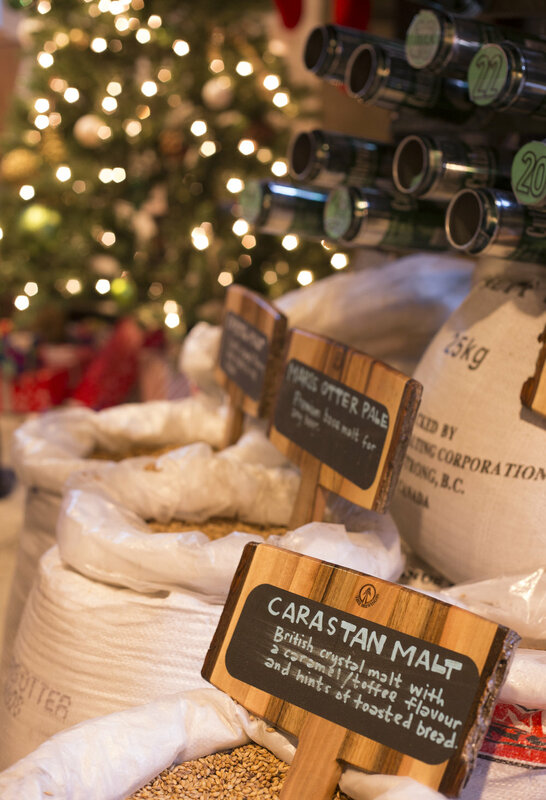 The craft market has hit the Okanagan fast and furious, but the biggest impact has been in Penticton (Sn'pink'tn) - home to Cannery Brewing, Bad Tattoo Brewing Company, Highway 97 Brewery and The Tin Whistle Brewing Company as well as the Barley Mill Brew Pub. All of this tradition and growth recently crowned Penticton as the #2 Beer Town in Canada (just behind Vancouver) and they sure deserve it. 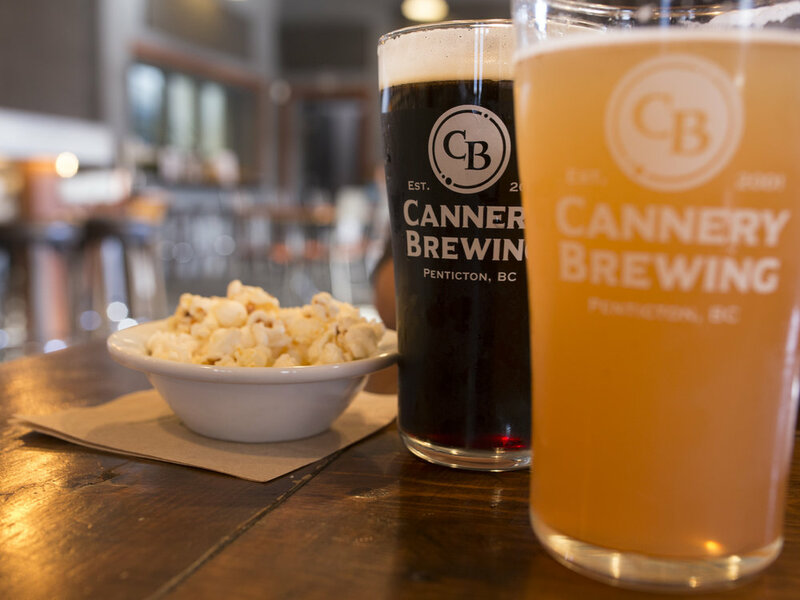 Whether you grab a Naramata Nut Brown from Cannery or an award-winning Los Muertos Cerveza Negra and pizza from Bad Tattoo, any trip to Penticton should include a stop at one (or a couple) of these awesome spots! As with anything, buying beer from local companies - especially those that use local ingredients like the amazing Crannóg Ales in Sorrento - means less impact on the environment and better, fresher beer. Penticton also holds the highly reviewed Fest of Ale every spring and Oktoberbest in the fall. Kelowna (Kilawna) is home to the Great Okanagan Beer Festival in May. Each September, find favourites, new and old, at Hopscotch: The Festival of Whisky, Beer & Spirits in Kelowna. In October, Kamloops hosts the Bavarian Oktoberfest. On top of all of the breweries, most local restaurants have adopted these newcomers and keep their brews on tap for thirsty patrons. 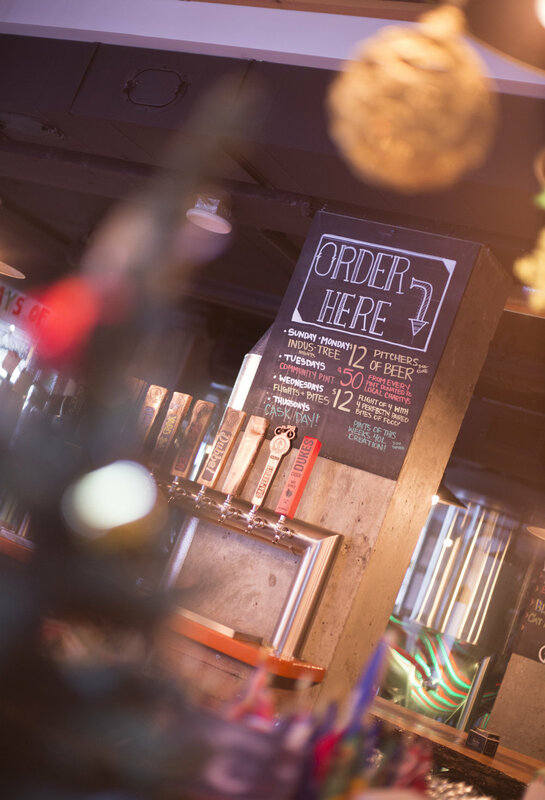 A few places like Mission Tap House in Kelowna and Hop N Hog in Clearwater have great rotating taps, as well as Kelowna’s new Craft Beer Market - home to over 100 beers on tap. Earl Pale Ale - BNA Brewing Co. Check out the BC Ale Trails website to plan your next trip to the Thompson Okanagan Ale Trails. Matt Ferguson is a BC born and raised photographer, currently living in Kelowna. When his camera isn't strapped to him, you can usually find him at the beach with his family, skipping rocks or if it's cold enough, strapping on some skates and hitting a frozen pond.